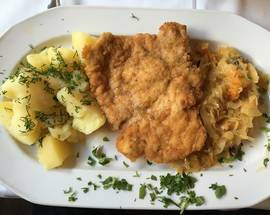 Kashubian cuisine is relatively simple but makes great use of a wealth of natural ingredients all found within the Kashubian region, which is blessed with a sea coastline and a plethora of lakes, rivers, forests, meadows and orchards. Food has traditionally been prepared to make use of whatever is in season and its simplicity reflects the need for tasty, healthy, filling dishes of a hard-working people. In our time here we have become used to the idea of a main meal in the afternoon, though this tradition is changing as people’s work habits change. The main meal in the early to mid-afternoon is still typical at weekends and the Sunday meal is still an important part of the week, prepared following church in the morning. The ingredients used are all found locally and it’s still typical, though less so than 10 or 20 years ago, to find cellars and garages filled with jars of pickles, marinades, compots and even nalewki which make use of fruit and vegetables grown throughout the year. 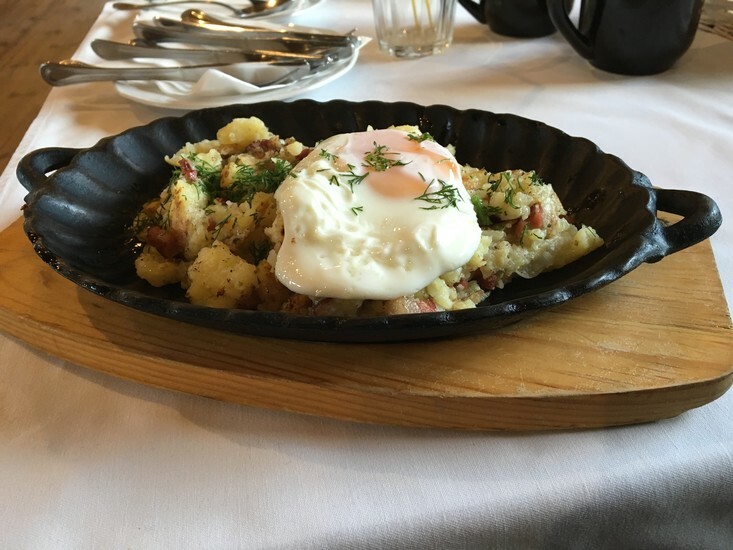 Unsurprisingly, fish is a staple part of the typical Kashubian dish with such a variety available from the Baltic Sea, the Bay of Gdansk and the rivers and lakes of this picturesque region. 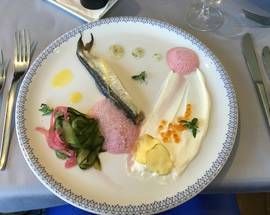 A wide selection of fish is prepared in a variety of ways – cooked fresh using a variety of methods; salted in barrels and or pickled with oil or vinegar. 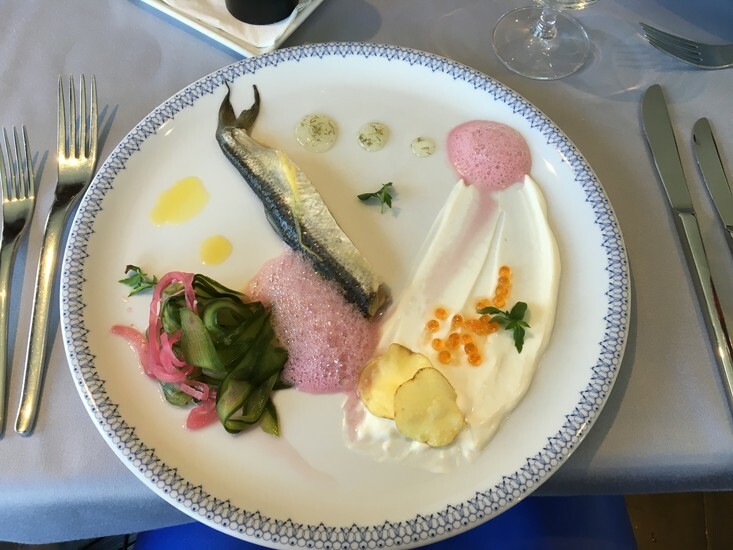 You can find wonderful fish soups; pickled herring, whitebait covered in breadcrumbs and pan fried, smoked trout and lots of salmon among the many fish dishes available. Fish is not the only thing to be made into soup and other common soups include zurek, a sour rye soup, cabbage soup and even soup made from or containing fruit. In a region divided by numerous working farms, farmyard animals also feature heavily. Pork, veal, chicken, duck and goose are common main components of a Kashubian dish, served with a wide choice of vegetables. The potato (bùlwa in the Kashubian language as opposed to ziemniak in Polish) is a staple and still regularly referred to as kartoffel reflecting the German influence in the region. In fact, as noted elsewhere, the Kashubian people have been influenced by both Poles and Germans over the centuries, but have nonetheless maintained their own identity. That is true also of the cuisine, which is often similar to traditional cuisine but with a local twist. It is not unusual to find slices of sweet fruit used as decoration on an otherwise staple dish of meat, potatoes, vegetables and sauce. A quintessential Kashubian dish is potatoes covered in buttermilk and a sprinkle of sugar. The Kashubians leave nothing to waste and use a variety of methods to cook or preserve the food at their disposal. Pigs are turned into joints and cutlets, sausages and offal. Meat and fish are both smoked to give wonderful tasting versions of common foods. Smalec or lard is another common sight and served with hunks of fresh, home-baked bread. A final staple component of Kashubian cuisine are cereals – barley, rye, buckwheat and of course wheat are added to soups, pigs blood, sausages or boiled and served as an accompaniment.